Arianne Criqui, formerly head of electronic options sales distribution within the equity derivatives sales team at Goldman Sachs, is set to join Cboe as its new head of options and business development. In the role, Criqui will oversee the strategy and performance of the Cboe US options business, including pricing strategy, product features and other business metrics. She will also lead the company’s cross-asset class business development efforts, focusing on maintaining existing relationships as well as cultivating new ones. At the same time, Robert Hocking, who was most recently global head of equity volatility trading at DRW Trading Group, and has also held senior positions at Goldman Sachs and Hull Trading, will take on the role of head of derivatives strategy at Cboe. Hocking will be responsible for leading Cboe’s proprietary product franchise and will serve as an advisor for the executive and business leads. He will also help shape the exchange group’s roadmap for its current and new derivatives product sets. Finally, Cboe Global Markets has promoted Matthew McFarland to head of futures at Cboe Futures Exchange, leading the direction of the exchange including pricing, and the day-to-day and long-term strategies. McFarland was formerly a senior director of Cboe Futures Exchange business strategy and operations. “Arianne, Rob and Matt are veterans of the options and futures industries and bring to Cboe not only a deep understanding of our products and markets, but proven track records in growing business and building customer networks,” said Andy Lowenthal, co-head of the markets division at Cboe Global Markets. 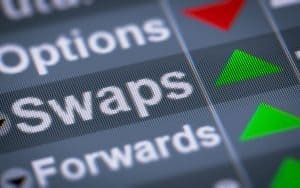 The post Cboe names derivatives business leaders with new hires from Goldman and DRW Trading appeared first on The TRADE.